Need some tips on vegetable and container gardening? If you’ve never tried planting your vegetables in a container then you might want to consider this excellent space saving option! I remember the time when I didn’t have acres of land to work with. It was a challenging bit especially if you want to grow vegetables. If I knew then what I know now, I wouldn’t have considered space as a challenge. So if you don’t have the land but still want to grow a vegetable garden, container gardening is the answer. Get some tips on how to get started here! Gardening in pots and containers is a great way to experiment with garden design. Keep these rules in mind to ensure that your potted plants survive. To avoid bugs and plant diseases make sure all plant containers are clean. Wash containers with soap and water, rinse, and let air dry. A good potting soil contains organic nutrients and should be able to drain well and keep the soil at optimum moisture levels. Using filler materials in the bottom of pots require less soil and your plants will still flourish. 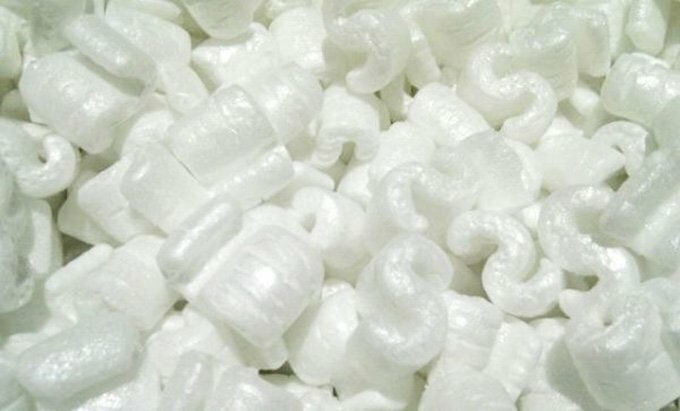 Materials such as packing peanuts, pop bottles, plastic containers, aluminum cans and other recycled items can be used. Place a screen over holes to prevent soil and filler material from draining out. A special thanks to Fix.com for these vegetable gardening tips! In general, plants aren’t affected by container choice. Should be large enough to hold the plant and have drainage holes. 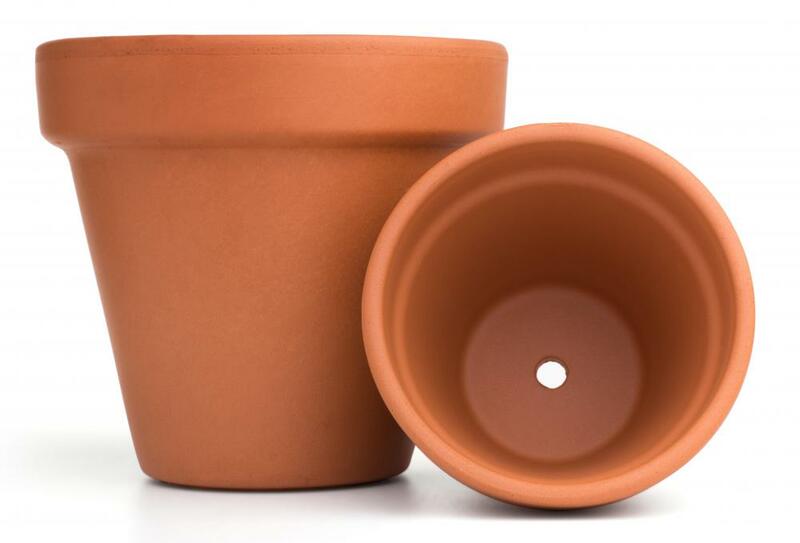 Porous nature of pots means more attention to watering. Absorb heat, making the soil too warm for some plants. May contain chemical compounds that could be absorbed by plants. Look for a soil mix designed for outdoor container gardens. TIP: Fill the containers to within 1-2 inches of the rim. Water the container before planting. Let sit for a few hours to drain excess water. Water to settle seeds or transplants. Keep soil from drying using mulch with straw, compost, or leaf mold. Place containers in full sun for at least 6 hours a day. If in a cold climate, place plants near a south-facing wall. If in a warm climate, plants may overheat if placed on cement. If plant has deep roots, build bed up higher. Use wood, brick, rocks or cement blocks to frame the beds. Look for naturally rot-resistant wood like cedar, cypress, or locust. Avoid chemically-treated wood. Have long side of the bed face south for equal light exposure. Build narrow beds—about 4 feet wide—to easily reach either side, about 4 feet. A layer of 1/4 or 1/2-inch hardware cloth (galvanized mesh) can be laid across the bottom, before soil is added. Mesh should continue at least 3 inches along the insides of the bed and be stapled in place. Add mesh lower if growing root crops. Spread the soil evenly across the bed. Water bed with an even, fine spray to settle the soil. Add more soil. Add lots of organic matter like well-rotted manure, compost, and shredded leaves. Mound soil as the organic content increases. For difficult soil, mix trucked-in topsoil, organic matter, and mineral amendments. Rake the bed once more to even out the soil, then plant. Plants may be spaced close together as fertilizer and manure are more concentrated in the small space. Set stakes or pokes and trellises for tall crops in early spring. May require an irrigation system. To extend the growing season, place hoops with draped plastic over beds. When harvesting, add compost into the empty space, mix, and replant based on the season. Some plants hinder nearby plants by hogging resources. Pairing plants with an adequate companion can increase garden yields. An area that gets 5 to 6+ hours of direct sunlight daily. A flat spot of land. Mark corners of plot with a stick, rock, or stake. Dig as deep as your shovel will allow. Till the plot multiple times to break up chunks of dirt. Remove unbreakable chunks or rocks with rake. Till repeatedly until soil is fine in texture. Before planting, you should be able to dig down 6 inches with your hands. Sandy loam is the most desirable soil type. Test for sandy loam by squeezing a handful of soil into a ball; soil should crumble. If soil is sandy or clay based, use comport. Whether you have ample space for a garden plot or just a sunny window for a container garden, homegrown produce can add a fresh, delicious element to your meals. Get growing and try one of these garden this spring. 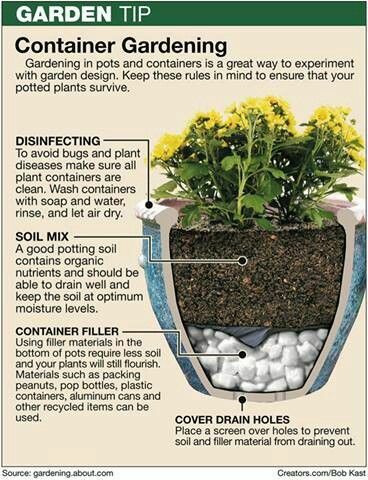 What do you think of these gardening tips? Let us know below in the comments!